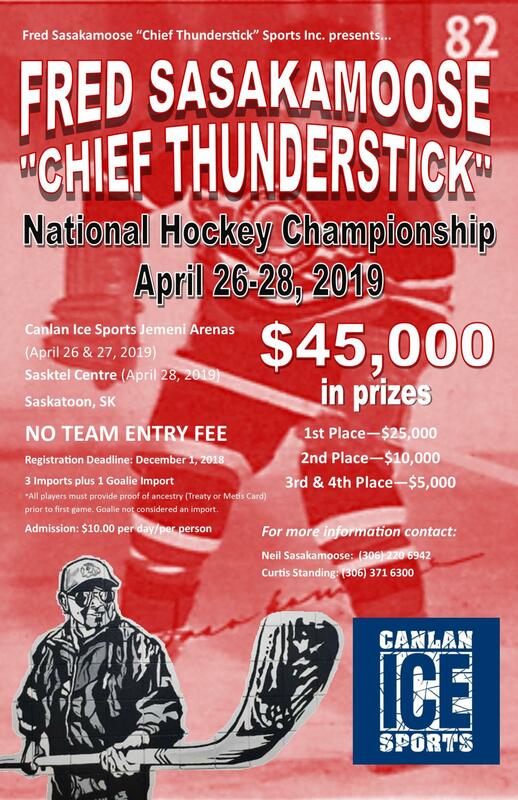 First ever National Hockey Indigenous Championship! Fred's dream is to create a National Championship for Indigenous Hockey Athletes in the hope that one day the Olympics will have an Indigenous Team. Presented By: Fred Sasakamoose Sports Inc.